This has to be one of the classiest small AWD vehicles available on the market today. Not only does the BMW X1 xDrive 23d offer handy ground clearance in a small package, the little X1 has superb power and efficiency coming from the gutsy 2.3 litre turbo-diesel engine. If you are looking for a smaller machine that can take you down a forest track or over a muddy paddock, in style, then they don’t come much better than this. The quality design and build quality of the BMW X1 xDrive 23d rates as being up there with some of the best I’ve seen. Sure, there are cheaper models you can buy that will do just as well, but no other sitting in the same class of vehicle has the style, performance and build quality of the very favourable BMW X1 xDrive 23d. It’s not every day that I manage to get away, but when I do I most certainly enjoy what the outdoors has to offer. I bet you I’m not the only one either. How many of you could do with a comfortable vehicle with all the bells and whistles to take you fishing or rock climbing without any fuss – and in complete luxury. The BMW X1 xDrive 23d is a car that fits this bill perfectly. 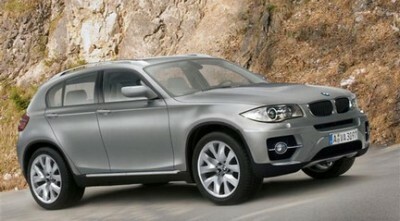 Each fine looking BMW X1 xDrive 23d has the excellent xDrive package that makes for superior all-wheel drive traction. The xDrive system feeds the vehicle’s engine power to both axles of the BMW X1 as situations demand. Blessed with high-end technology, the BMW X1 xDrive 23d can automatically adapt to the terrain you are driving on at the time. So, whether you are on the tarmac, attempting a hill start on ice or crossing a mucky paddock, maximum traction is guaranteed. The BMW X1 xDrive 23d comes with beautiful looking leaf shapped rims that are shod with very wide rubber. And, as any BMW should, the BMW X1 xDrive 23d can be driven very quickly with composure as often as you dare. Brake regeneration technology and an auto start – stop function ensures that the BMW X1 xDrive 23d remains efficient while being the performer. A combined average of between five and six litres/100 km is looking pretty good – you would have to agree. Athletic both in design and in its performance, the BMW X1 xDrive 23d has a diesel power-plant that offers class leading performance. Possibly the most powerful diesel in its class, the 2.0 litre, in-line four cylinder engine has a phenomenal 400 Nm of torque available from as low as 2000 rpm. With 150 kW of power at the top end, and this level of torque, the blend of effortless performance is the best in its class. Match this to the vibrant handling package which boasts dynamic stability control and servotronic power steering, the BMW X1 xDrive23d has pin-point steering and response for every situation. A six-speed manual or six-speed automatic gearbox provides the power to the wheels. Light and crisp manual operation or smooth and precise automatic operation – the choice is yours. Call me lazy if you want, but I’ve come to quite like the relaxed feel of an automatic! Equipped with superlative active and passive safety features, you are in the best league here when it comes to the crucial safety characteristics. Definitely, the BMW X1 xDrive 23d is at the top of its class again. A fine-tuned system of suspension, engine management and brakes offers superior on-road control. The body shell of the BMW X1 is constructed from new generation steel that absorbs forces in the deformation zones, while load paths divert impact energy away from the car’s passengers. Crash-activated headrests and the latest generation of front and side airbags offer premium passenger safety. The small BMW AWD, soft-off-roader captured a five-star safety result for the Euro NCAP crash tests. A great vehicle and a great performer that is outstanding in its field. If you want to save a few pennies, and are not too concerned with how many horses lie under the bonnet, there is the responsive BMW X1 xDrive 20d which offers a toned down version of the same engine unit. Check them both out before you buy. For anymore information on the BMW X1 xDrive23d, or for that matter any other new car, contact one of our friendly consultants on 1300 303 181. If you’d like some fleet discount pricing (yes even for private buyers! ), we can submit vehicle quotes requests out to our national network of BMW dealers and come back with pricing within 24 hours. Private Fleet – car buying made easy! For any more information on the BMW Z4 sDrive35i, or for that matter any other new car, contact one of our friendly consultants on 1300 303 181. If you’d like some fleet discount pricing (yes even for private buyers! ), we can submit vehicle quote requests out to our national network of BMW dealers and come back with pricing within 24 hours. Private Fleet – car buying made easy!